It was another day written merrily in my travel diary as another well spent evening watching the feral creatures sitting on a grassy bank of that continued with a night under the moonlight. The day is written in bold in my memory lane as an evocative day. That night was so picturesque with the moonlight that might be a lifetime happening for the majority of us. 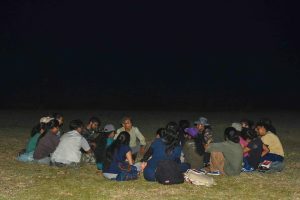 It was the last evening of the field workshop at Maduru Oya National Park conducted by Prof. Dayawansa co-related to the Conservation Biology and Wildlife Management course. We all were courageous after the outbound training in the Army Special Force training school at Maduru Oya. That evening, we were stepping on a footpath watching the wild life. A herd of deer was feeding on green grass and some youngsters seemed to be graceful with their well-developed antlers. Common crows were in a hurry to feed on sweet nectar of Indian heliotrope and even did not noticed us. Few lazy wild buffalos were at our vicinity. Two white bellied sea eagles were soaring in the top of blue sky. The sun was scattering his light scarlet paint in the West sky. The path directed us to the grassy bank of Maduru Oya. We decided to stay sitting on the bank and patiently spotted at the creature on the opposite side. A big herd of wild buffalos were soaking their muddy bodies and after a while of our arrival, they started coming out of water. They were well timed to turn-over the tank to the herd of elephants. Elephants were emerging from the forest and were roaming far away from the bank. There were thirteen giants in the herd including two little ones. Few meters away from the herd, a bachelor was observing what is going on in the surrounding. The adjacent grassland was occupied by a herd of deer and they seemed to be hungry as they were grazing. But now and then, adults were vigilant around the surrounding. Two white bellied sea eagles were reaching down little by little and it seemed that they have done with hunting for the day. Binoculars made these incidents happening much closer to our eyes. Our clothing that got blended with the wild and quietness made the wild unaware of us. With the exception of these observations, we were counting the birds that were returning to their homes. It was so amusing to count the whole flock before anyone else counts it and tell. Gradually the sun had gone hidden and the moon was emerging from the tank water. Without the permission of anybody, the surrounding was getting gloomy and the moon was becoming more prominent and started making the whole surrounding enlighten. 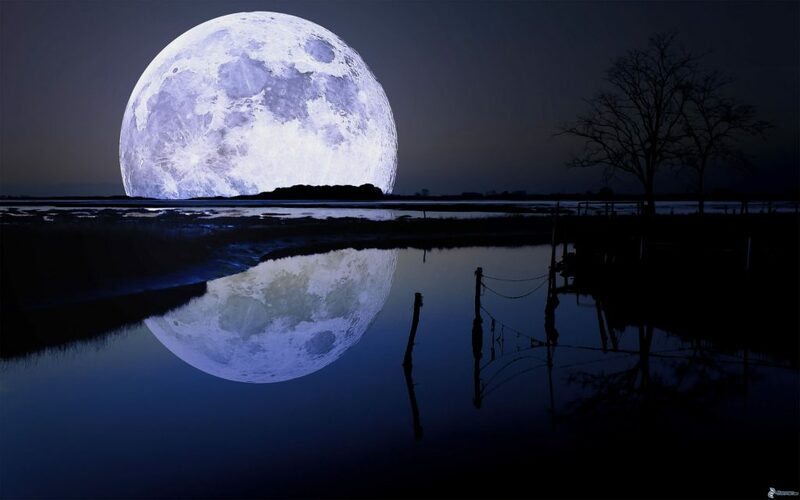 It seemed that the moon was emerging from the lake and water had turned gold by dissolving the moonlight. The whole lake had become a golden lake which the scenery was mesmerizing us. Animals had returned to their homes and there we started our discussion with sir about the program. Then only started the most awaiting event of the workshop, ‘the night hike’. We walked one after the other along the narrow footpath. The moonlight was switched on so that it made our way more easier. We were responsible to make ourselves silent and not to disturb either the sleeping fellows or the night time hunters. It was a new experience for most of us that most of us had not gained such an experience before. Our walking ended up at a rock that had raised above the ground and we climbed on. The view at the top of the rock was so charming. Fellow stars had left the moon was alone in the sky and it was his kingdom where the creamy, golden moonlight was spreaded everywhere in the sky. A portion of thar cream had fallen on the tree tops that made them glowing in gold. By then, it was the midnight and we laid on the cold rock till the next dawn. In the next day dawn, we returned to our permanent resting place. On our way back we met a giant bachelor fellow in much closer to our footpath. We passed him so silently that he would not get disturbed. We found the footprints that the giant had kept walking on the dewed green carpet of grass. There we finished our hike retaining a lifetime experience in our soles.